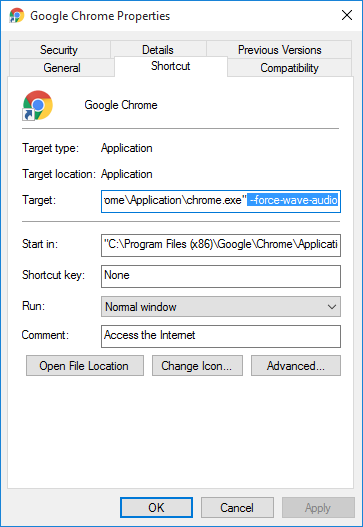 If you’re used to having full channel audio with your sound card, but Chrome only comes out of two speakers instead of all of them this should fix that problem and allow the audio to mirror to the back speakers if your setup allows for such. I believe this is an issue with chrome sending out 5.1 audio even though though there may only be 2 channel audio coming out. With audio that supports up-mixing 2 channel audio to “Stereo Surround” it will only up mix when it is receiving 2 channel audio, thus this is a problem when a program reports that it has 5.1 audio but only comes out of the front speakers; it’s putting a layer between your sound card and the actual audio so it cannot tell what it’s actually getting; it’s being lied to! This entry was posted in Interesting Finds and tagged 5.1 Stereo Sound, Audio, Audio Channels, Browsers, chrome, CMSS, CMSS-3D, Creative Sound Blaster, Google Chrome, Stereo Surround Sound. Bookmark the permalink. Post a comment or leave a trackback: Trackback URL.